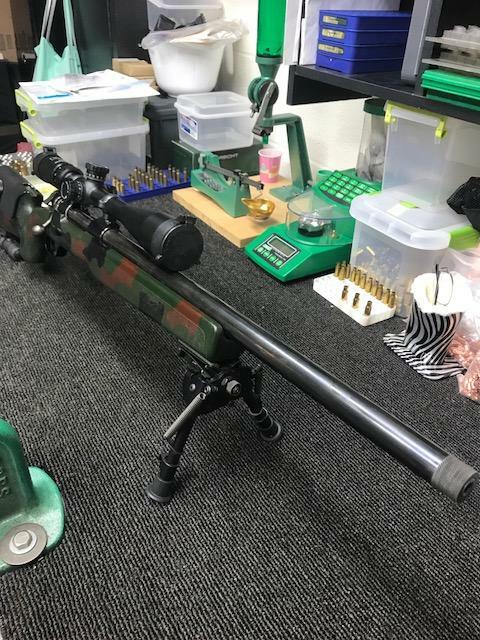 This is the Mack daddy of sniper rifles. This has the 98 Mauser action, Shilen super match barrel -1.0 inch at muzzle. The stock alone sells for over 900.00 . 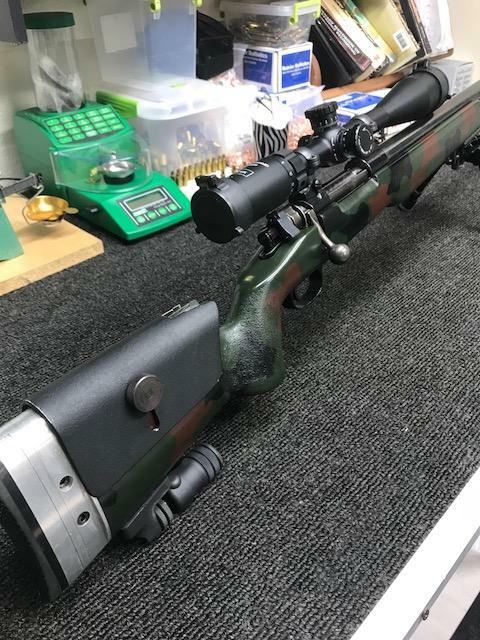 It’s the military McMillan sniper stock. 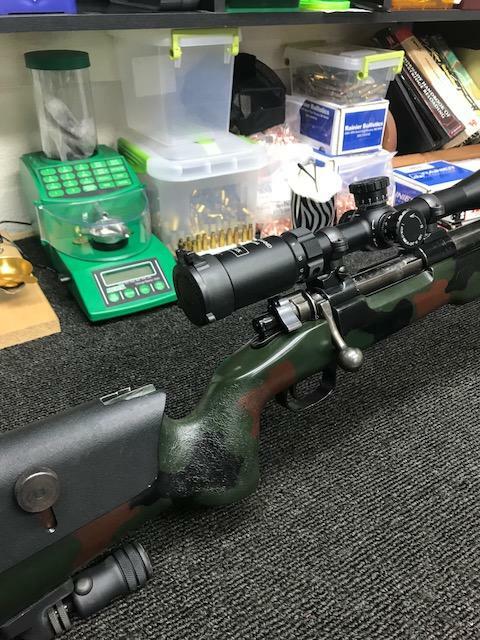 22 inch barrel, threaded muzzle, bi pod, mono pod,Custom trigger assembly,internal mag, this rifle shoots one ragged hole at 100 and 200 yards. Less than MOA at all ranges. 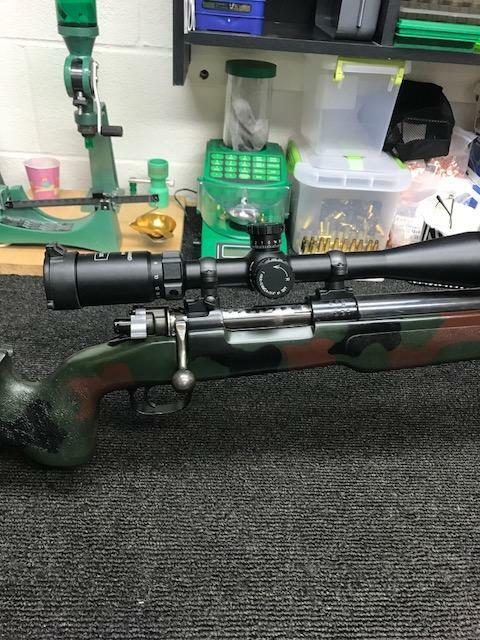 6x24 side focus scope. Leopold two piece mount with Leopold rings. No trades are wanted. Thanks for looking. 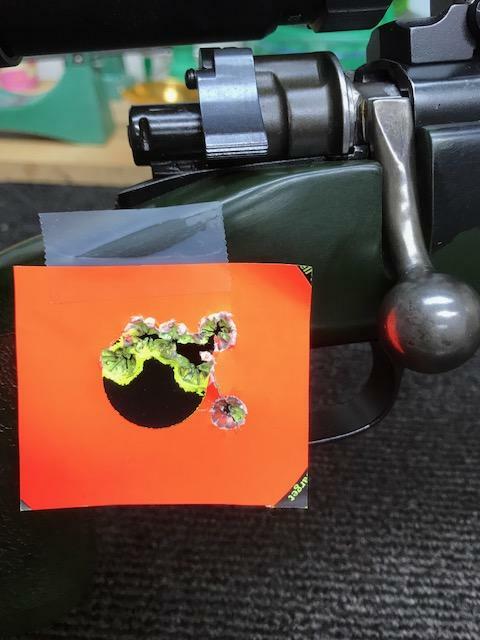 The first orange target was 8 shots at 150 yards with two scope adjustments. 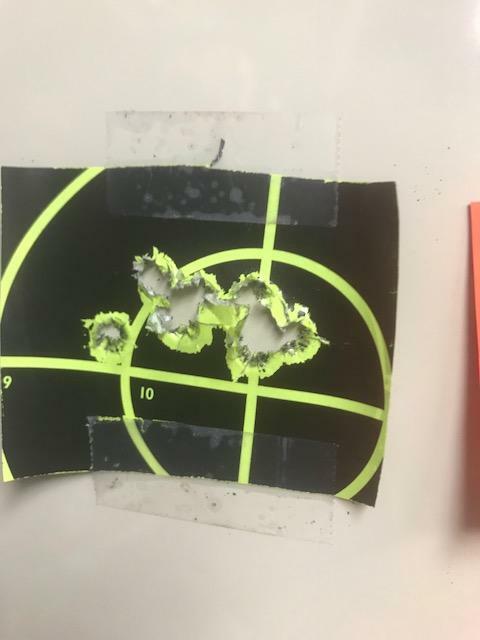 The second black target was shot at 200 yards with 8 shots and 2 clicks scope adjustment.